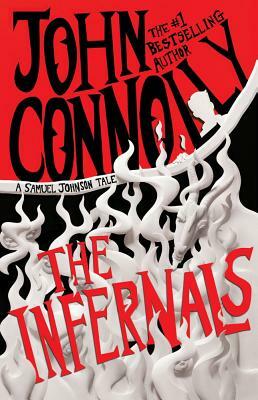 From New York Times bestselling author John Connolly, a wonderfully strange and brilliant novel about a boy, his dog, and their struggle to escape the wrath of demons. Young Samuel Johnson is in trouble. Not only is his eyesight so poor that he mistakenly asks out a letter box on a date, but an angry demon is seeking revenge for Samuel's part in foiling the invasion of Earth by the forces of evil. It wants to get its claws on Samuel, and when Samuel and his faithful dachshund, Boswell, are pulled through a portal into the dark realm, the home of the Infernals, it gets its chance. But catching Samuel is not going to be easy, for the Infernals have not reckoned on the bravery and cleverness of a boy and his dog, or the loyalty of Samuel's friend, the hapless demon Nurd, or the presence of two clueless policemen and the unlucky, if cheerfully optimistic, driver of an ice-cream van. Most of all, no one has planned on the intervention of an unexpected band of little men, for Samuel and Boswell are not the only inhabitants of Earth who have found themselves in the underworld. If you thought demons were frightening, just wait until you meet Mr. Merryweather's Elves. . . .